This weekend was the weekend of the big Clissold Park fireworks display. I was pretty excited about this, since I love fireworks, love Clissold Park and love any excuse to wrap up warm and cuddle up with the manthing. My excitement rapidly dwindled when I saw that tickets to the display were £7.50 a pop. As you may have gleaned from all my Broke Girl Guides, I don’t have a huge amount of spending money right now, and paying to see something that is visible from pretty much anywhere didn’t sit all that well with me. Besides, as it turned out, the display was to take place on a thoroughly miserable, rainy November night. So Niall and I decided to watch the display from somewhere a bit cosier. The sound of the rain pattering against the windows was interrupted with the crackling of fireworks from displays stretching all across our horizon. The air was thick with the smell of gunpowder and smoke, and our stingy attempts at heating couldn’t quite keep the November chill out of the flat. 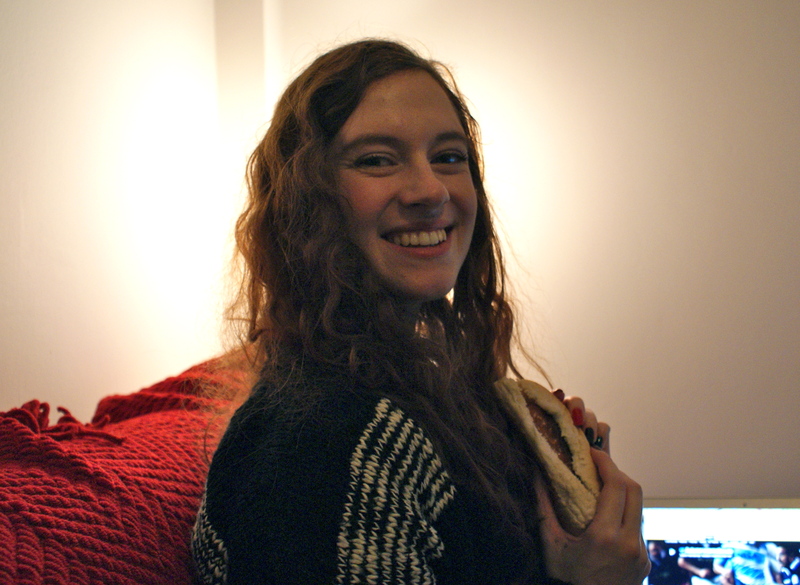 I made hot dogs and popcorn, Niall poured me a big assed glass of wine, and we settled in to watch the fireworks. Clissold Park wasn’t the only display taking place that night, and it seemed like every direction I looked, the night sky was filled with sparks and colour. Watching them like that, holed up warm and safe from the rain with my favourite person, was perfect. Of course, Niall’s attention span is considerably shorter than mine, so I stayed glued to my window, the portrait of Wendy Darling, long after he wandered off. In fact, only the lure of the Doctor Who season finale was finally enough to pry me away from the beautiful dancing lights. I’ve always thought fireworks had a little magic in them, and still gasp like a little kid when those big, gorgeous gold ones go up. But it looks like I’m not alone there. Even now, I can still hear defiant fireworks exploding outside my windows, and the smell of gunpowder is sharp in the air. 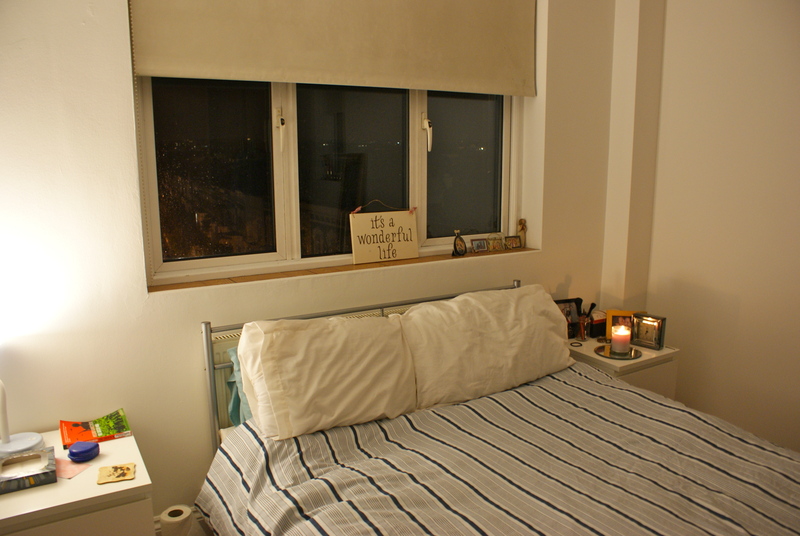 Bonfire night might be past, but who says we can’t hold on to the magic of a wintery night in? Did you brave the weather for your fireworks display? 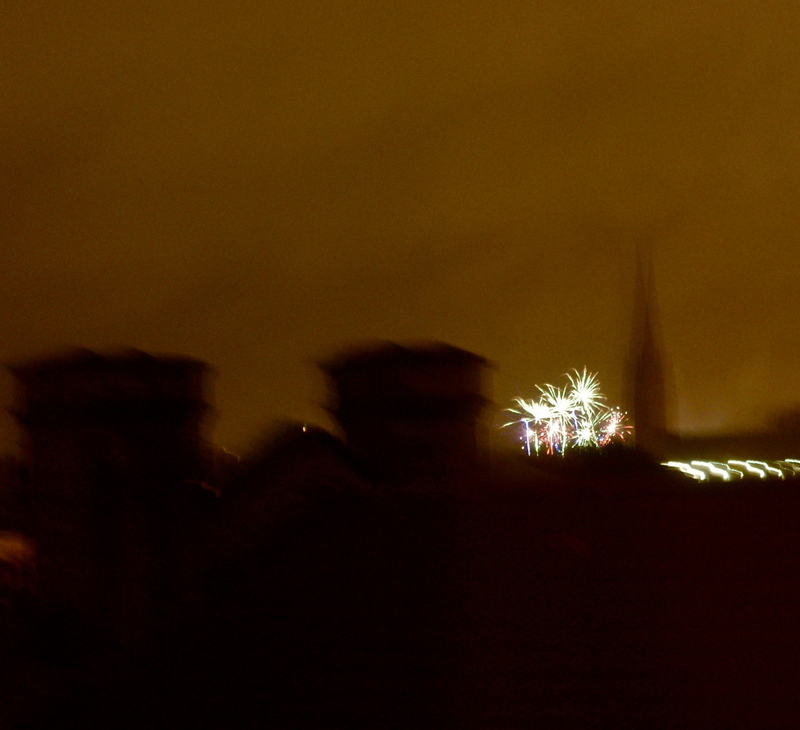 Were your fireworks photography attempts more successful than mine? Get in touch in the comments, or at @EscapologistGl.